I read this article and found it very interesting, thought it might be something for you. The article is called Shakespeare’s King John and is located at https://www.totallydublin.ie/event/shakespeares-king-john/. 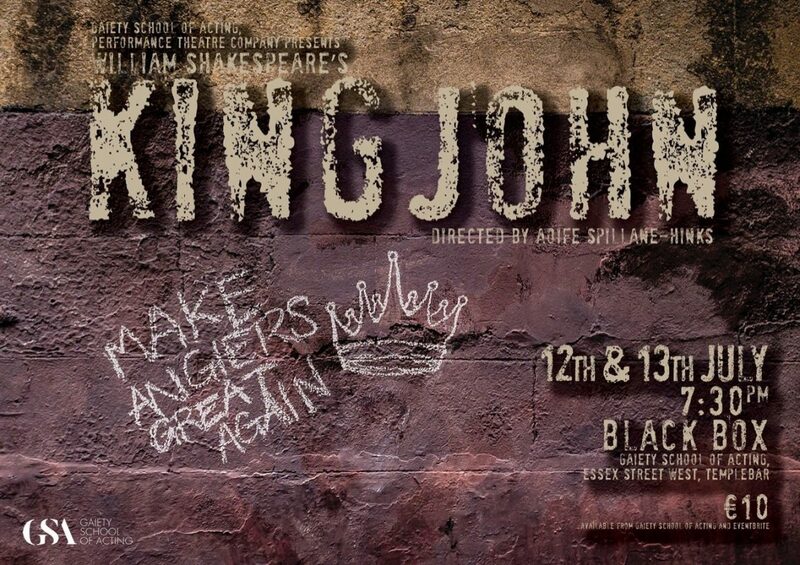 Directed by Aoife Spillane-Hinks, the GSA’s production of William Shakespear’s ‘King John’ showcases 10 new acting talents. Within the current climate, rife with Brexit and Trump antics, this play is particularly relevant as it questions what it takes to be a leader.